Interview with John McDougall, M.D. Breast cancer is an environmental disease that has to do with the fats and synthetic chemicals in your diet and also the lack of plant chemicals in your diet to protect you. Mammography is a fraud. The scientific literature clearly says that what we are recommending is over-exaggerated. The Jan. 8, 2000 issue of The Lancet carried an article stating that mammography is unjustifiable. Actually, of the eight studies done, six of them show that it doesn't work--and yet the American public believes that this is a time honored, definite way of saving their lives from breast cancer. There's also a chapter in the book on natural treatment of breast cancer. I published the first study in the 1980's on treating breast cancer with a healthy diet. I was considered a radical then, but there have been many studies in major journals since then that say once you get breast cancer if you change your diet you will live much longer. Interview with John McDougall, M.D. The cause of osteoporosis is primarily diet. With all of the red meat and poultry, seafood, cheese and eggs, the rich American diet is a very acidic diet. That acid has to be buffered when you eat it. So the bones dissolve and then changes take place in the kidneys that cause the body to urinate the bones through the kidney system out into the toilet. Sometimes bones resolidify and they form calcium kidney stones. Interview with John McDougall, M.D. You're dealing with high fat, high protein, low carbohydrate, low fiber--and if that's the centerpiece of your diet, which it is for most Americans--I don't care how organic it is you're still going to have a high likelihood of heart disease, obesity and diabetes. These foods are just too rich. The problem with people in this country is they like to eat like kings and queens. They eat the richest diet ever known, and as a result they look like kings and queens. The solution to the problem is to make feasts special again; have rich foods only on special occasions. It's the answer to health problems individually and also nationally. 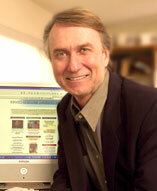 Interview with John McDougall, M.D.